60 percent believe an attack will hit in the next few years. the CIO and 10 percent that report to a privacy or data officer. 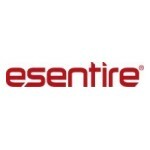 technologies,” said Mark Sangster, chief security strategist, eSentire. approaches stack up in general and relative to comparable organizations. Business Risk Index Tool here.